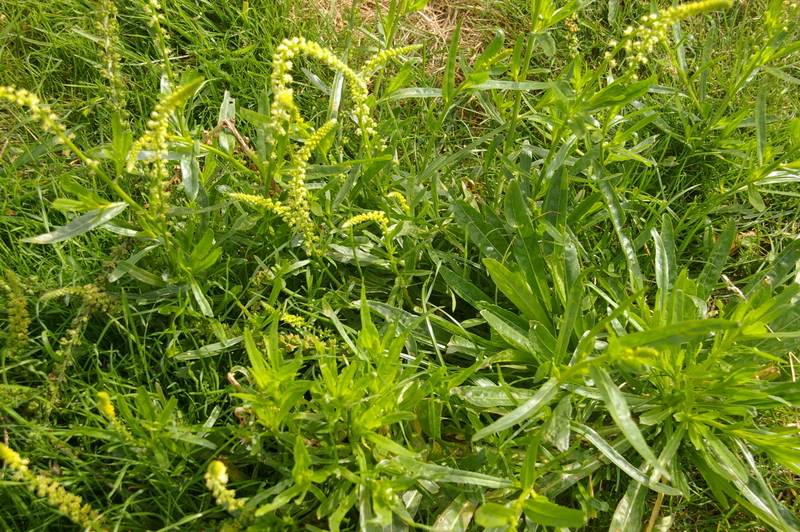 This year we have had a bumper crop of Weld growing in our fields. I harvest the leaves and flowers when they are in full bloom, chop them up into small pieces and leave them to soak overnight in rain water. 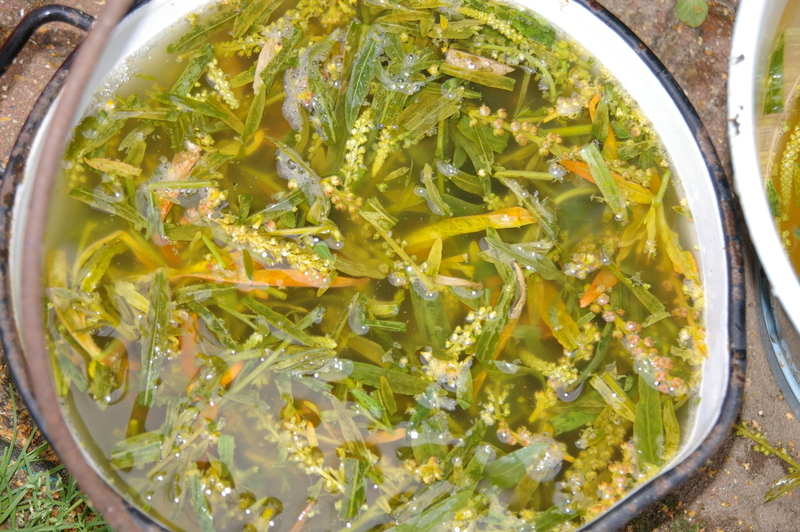 Next day I boil them up in the same water for one hour and then leave to go cold. 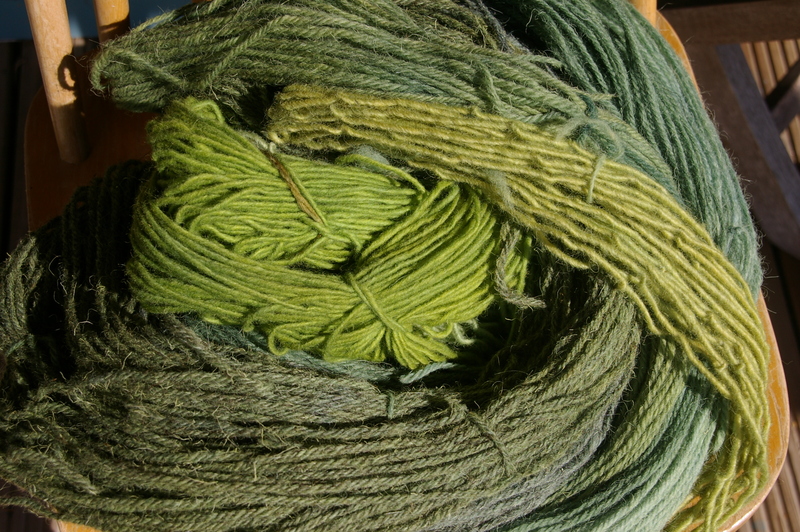 I always strain off the leaves otherwise they get stuck in the yarn or fibre. Next return the liquid to the pot along with the yarn which has previously been mordanted with alum. I simmer this for another hour and then leave it to get cold before rinsing and hanging on the line to dry. 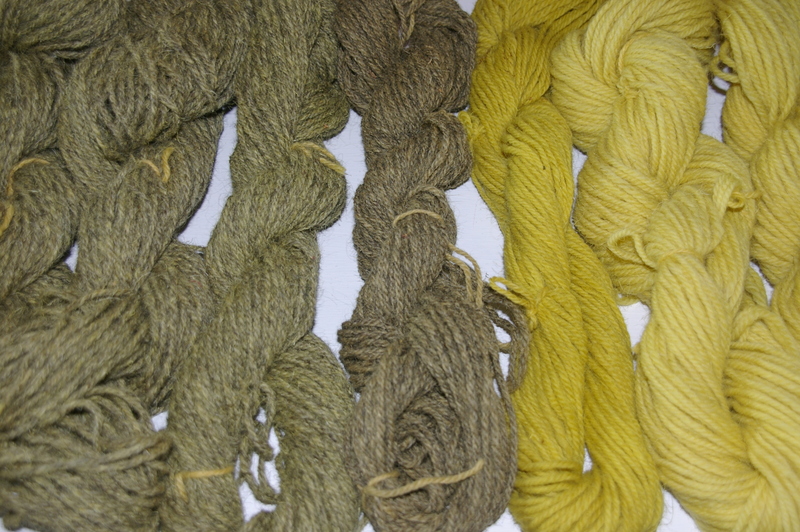 The hanks on the left are Herdwick wool so dyeing with weld gives a soft khaki hue while the white wool gives lovely shades of lemon yellow. The hanks on the right have first been dyed with weld and then over dyed with indigo to give these lovely shades of green. 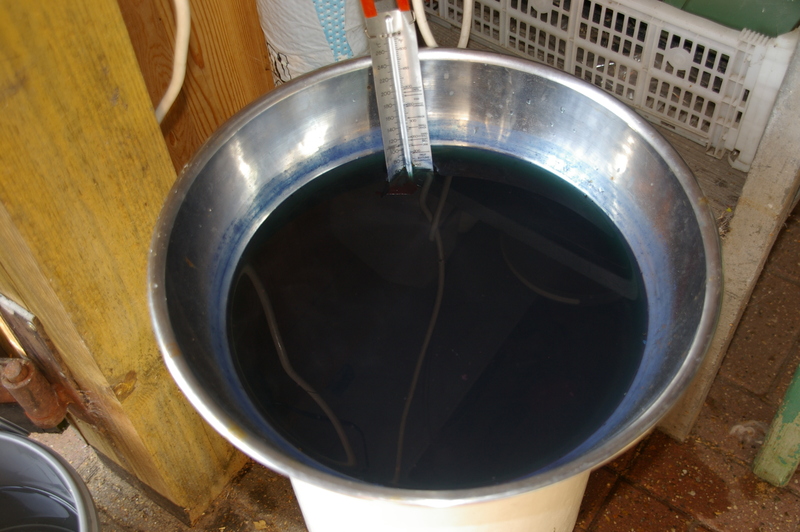 I like to make my indigo bath in this big stainless steel bowl as it gives me a large surface area to immerse my hanks in. The bath must be around 50c so I keep it warm by sitting it on top of my baby burco. As indigo is a strong dye you only need to dip the yellow hanks into the bath for a brief moment to pick up enough colour to turn them green. 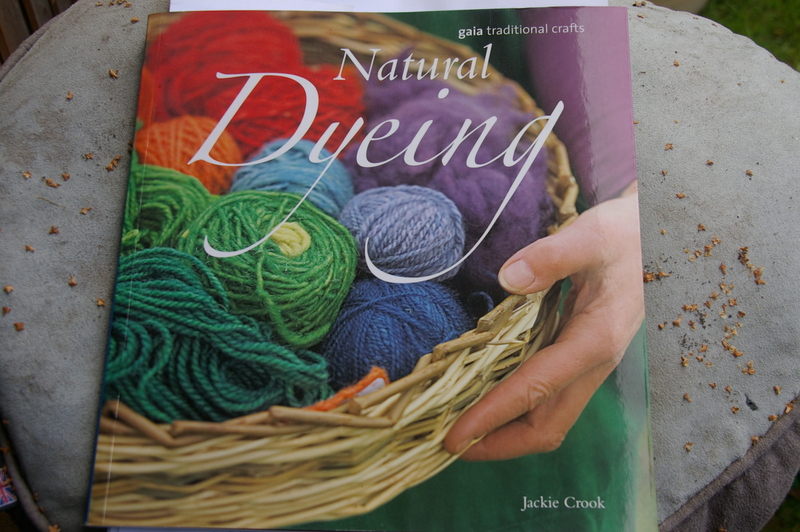 There is much more to read about natural dyes in this lovely book written by Jackie Crook. This book is part of the Creative series produced by Hamlyn and includes one on Felting and Spinning and of course Rigid Heddle Weaving!